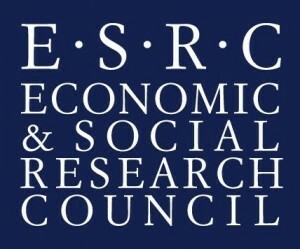 A pre-call announcement for collaborative interdisciplinary research projects on Society, Integrity and Cyber-security has been issued by NordForsk, together with the Economic and Social Research Council (ESRC) and the Netherlands Organisation for Scientific Research (NWO), within the Nordic Societal Security Programme. The funding of 4.2 m EURO is available to fund up to five projects. The call will be issued in December with an application deadline 15 March 2016. Full details will be available in December please come back to the Research Support team if you are interested in putting in an application for funding. The 2016 call for the Marie Skłodowska-Curie Actions​ (MSCA) Innovative Training Networks (ITN) opened on 14 October 2015 and has a deadline of 12 January 2016. The Guide for Applicants for this call is now available online and can be located by expanding the ‘Topic conditions and documents’ window of the call page. EPSRC have released a call in search of 3 collaborative projects between the UK and Singapore on the subject of Cyber Security. Up to £1.2 million is to be split between these 3 projects, with the aim to foster stronger research links between Singapore and the UK, and to strengthen collaboration between the nations’ best cyber security researchers. • Sectors and applications (e.g. Internet of Things (IoT)): Targets the concerns of particular sectors or applications. The closing date for applications is the 30th July 2015 – please contact your research facilitation team as soon as possible if you intend to apply. Innovate UK (formerly the Technology Strategy Board) and the Ministry of Defence (through the Defence Science and Technology Laboratory) are to invest up to £5m in collaborative R&D projects to stimulate the development of marine and maritime autonomous systems, with the aim of the competition to build collaboration to meet the technological challenges and opportunities afforded by the increasing use of autonomous systems across the industry. If you would like to find out more about this funding opportunity, there is opportunity to attend the competition briefing event, online or in person, on the 15th October in London, which will give further information regarding its scope, the application process, key dates etc. as well as the chance to meet and network with peers, market leaders & innovators in the marine industry. The two-stage competition, opens for applicants on 13 October 2014. The deadline for expressions of interest is at noon on 26 November 2014. The Knowledge Transfer Network, in conjunction with the UK FET NCP and UKRO (so many acronyms) are putting on a FET workshop in London that I thought might be of interest to people in department. The H2020 FET Open scheme and its context. The new faster FET Open proposal and evaluation process. Future outlook for evolution of the FET arena. The event is completely free to attend. For more information and registration click here.